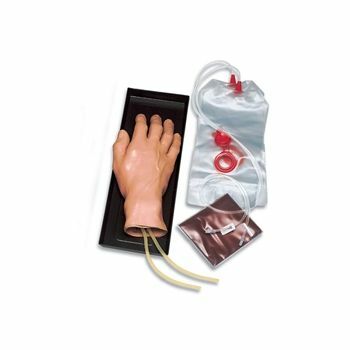 Detailed exercises in venipuncture can be mastered on a realistic model before administration to live patients. 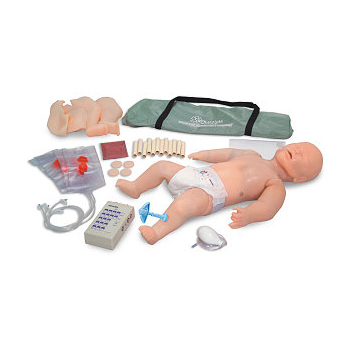 Demonstrate sterile technique, sharps injury protection, taping and securing techniques, and infusion or withdrawal procedures. 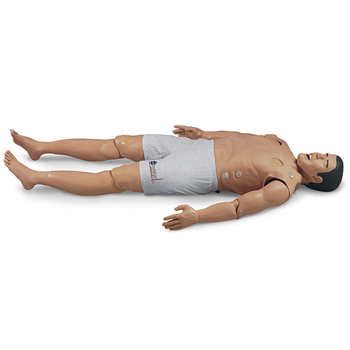 Features include: lifelike vein roll-over, durable for repeated use, palpation of vein for location. Characteristic "pop" can be felt when needle penetrates vein. Carry tray and blood included. 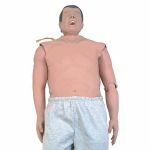 Patient Care Manikin - 35 lbs.